Chandigarh is The Proud Capital of Both Punjab And Haryana, And is Delightful City to Explore. When you think of Chandigarh, think an amalgamation of a slow paced life and successful urban planning. Situated at the foothills of the Sivalik hills, ‘The City Beautiful’ as it’s lovingly called, was planned by French-Swiss architect Le Corbusier, one of the pioneers of modern architecture. Chandigarh is the proud capital of both Punjab and Haryana, and is a delightful city to explore if you’re looking for a short getaway. The first things you must do here is catch sunrise at Sukhna Lake. It’s a reservoir at the foothills of the Himalayas. On a clear morning, you can enjoy panoramic views of the mountain range while walking along the lake. You’ll often spot beautiful birds flying to the lake in the morning – a great way to kick-start your day. Chandigarh has provisions for a hop-on hop-off bus tour and you must make the most of it. Chandigarh is laid out in sectors; the bus will take you through the different sectors and you will notice the dense trees lining each side of the road. Chandigarh is home to over 3,000 trees including neem, amla, and khair. The city has kept aside an ample space for grazing grounds and water holes, ensuring an ideal habitat for the wildlife. Make time to explore the Chandigarh Capitol Complex – an interesting facet of the city. When architect Le Corbusier designed the city, he organised the sectors in order of importance. Hence, Sector 1 is the most significant and is a UNESCO World Heritage Site. The area covers a lake, three buildings (the secretariat, the palace of assembly and the high court) and three monuments (the Open Hand Monument, Geometric Hill and Tower of Shadows). The Open Hand Monument also happens to be the emblem of Chandigarh’s government, symbolising peace, prosperity and unity of mankind. Exploring this part of the city will ensure you’ve covered most of it in one go. For a shopping spree, head to Sector 17 where you will find the state’s iconic embroidery – phulkari – on kurta sets, scarves and other ethnic garments. If you’re a history buff, head afterward to the National Gallery of Portraits which showcases pictures from India’s freedom struggle. 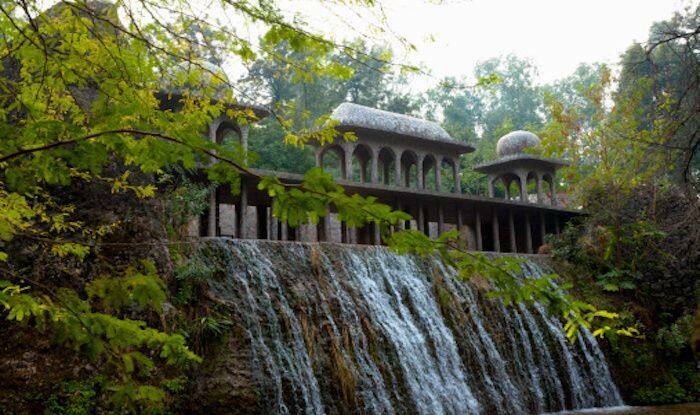 Wrap up your trip by a visit to the most iconic Rock Garden that was designed by Nek Chand. Rock Garden pays homage to sculptures by leftover stones of different shapes and sizes, that has been recycled and upcycled. The space is also replete with waterfalls, trees and concrete sculptures of animals, musicians and dancers, making it a great background for photographs.